David Schaecter. Images courtesy of Winikur Productions. Design: Raymond Elman. My father was born in 1894 in Rovne, Ukraine. He left his family and immigrated to the United States in 1921. In the 1930s, his family moved to Warsaw. In 1933, my father traveled to Poland to persuade his family to migrate to the United States. I have 16mm movies of his immediate family, which my father filmed in Warsaw during that trip. They refused to leave Poland. None of them survived the Holocaust. In 1961, I visited Israel with my parents. We met a strapping, handsome man for dinner who told my father that he saw my grandfather die in a hospital bed before the rest of the family was rounded-up and sent to concentration camps. My father burst into tears of joy because his father had a “normal death” – one of the few times I saw him cry. So I was particularly moved when David Schaecter spoke of his friendship with renowned Nazi hunter Simon Wiesenthal, who was able to tell Schaecter that he knew his red-headed father, Isidore, at Mauthausen concentration camp, and that his father had survived and been liberated, but died soon after from typhoid fever. 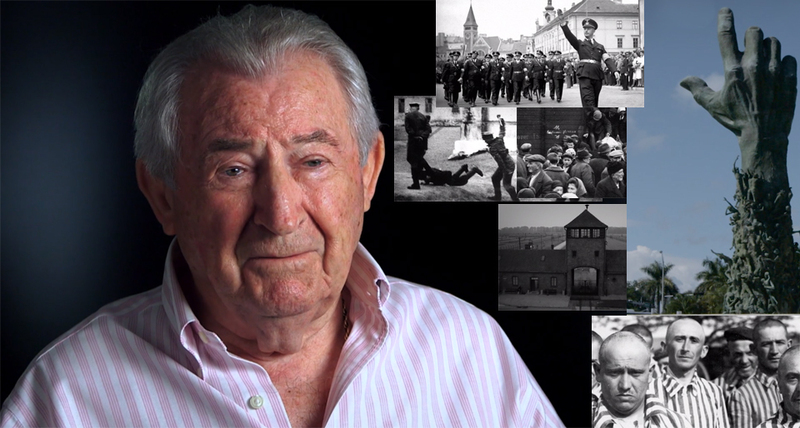 A Call to Remember: The David Schaecter Story is a beautifully crafted, completely engaging movie, written, produced, and directed by Ken Winikur along with producers Michael Berenbaum and Dennis Scholl. The heart and soul of the movie is the compelling eyewitness testimony of David Schaecter, who is an excellent story-teller, vividly recreating scenes from his youth in great detail, with restrained self-evident emotion. Editors Henry Beguiristain and Stephen LoVerme, along with archival researcher Emily Nesha Streim, writer Liza Hudock, and Ken Winikur enhance Schaecter’s stories with well-chosen archival movie footage and photographs, as well as black and white new video, which greatly help the audience imagine Schaecter’s world. Their image choices are even more remarkable as most of them were new to me – not the standard images that we have all seen over and over again. The team also receives high marks for their choice of emotional music, which elicits empathy, but is never cloying. David Schaecter was born in 1929 on a farm in Slovakian wine country near the village of Snina. There were only seven or eight Jewish families in the area. His ancestors had moved there around 1812. In 1939, Slovakia made an accord with Nazi Germany, which never had to occupy Slovakia, and by 1941 the local Hlinka Guard began to attack Jews and administer the “Jewish Code,” which ultimately resulted in round-ups, labor camps, and transports to concentration camps. Schaecter’s father was taken to a labor camp in 1940, and they never saw each other again. David, his mother and siblings, were later shipped to Auschwitz-Birkenau, where he was separated from the women and he never saw them again. David was small and young, so when “selection” was taking place, he was told to stand on his brother Jakov’s shoe tops so he would appear taller and older. Jakov protected David for the rest of the war, dying from dysentery before he could be liberated. Near the end of the war, Schaecter was in mid-transfer by train to another location, when the train was bombed by the U.S. Air Force near Passau in Bavaria. In the ensuing chaos, Schaecter ran into the woods, where he eventually encountered the Czech Resistance, which took him to a hospital where he was able to convalesce for five months. Released from the hospital, he found his way home and looked for survivors he knew, but he discovered that the local gentiles were murdering Jewish survivors who tried to return to their homes. So Schaecter traveled to Prague, where he lived in a youth hostel with other orphans of the war. The youth hostel was funded by the American Jewish Joint Distribution Committee (“JDC”). He attended gymnasia and earned the equivalent of a junior college degree. But he soon realized that he needed to get out of Czechoslovakia because of the pending communist take-over. So Schaecter began an odyssey, with the help of the JDC, that led him from Prague, through Ireland, Scotland, England, and eventually to New York City (in 1950) – where Maria Fleming assigned him to live in Boulder, Colorado, reasoning that it would remind him of the landscape of his youth. He learned English in nine weeks in an international pilots training program, which enabled him to take university courses taught in English. Schaecter attended the University of Colorado, but transferred after two years to UCLA, where he earned a degree in industrial engineering. Schaecter met Marvis, his wife of 53 years, in California. They lived in San Francisco and Seattle – eventually moving to Miami. Marvis died in 2005, and David married Sydney, who is still by his side. 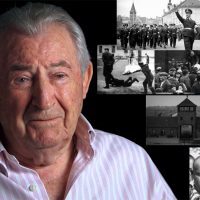 Editor’s Note: A Call to Remember: The David Schaecter Story had its world premiere on January 15, 2018 at the O Cinema Miami Shores, as part of the Miami Jewish Film Festival (January 11-25, 2018).